Service and support pros, unite! It’s time to get energized. It’s time to get empowered. It’s time to be a part of the evolution happening within our extraordinary industry by joining thousands of friends, practitioners, and influencers—who are leading its revolution. 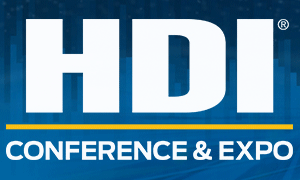 HDI 2019 is an event of unrivaled influence and spirit where the environment is welcoming, the perspectives are unique, and the ideas are galvanizing.